And for some of us (me), this is the reality of nail painting. Then you see all the super pretty, super intense nail art all over Pinterest and think, “I will never be able to paint my nails like that.” But don’t be discouraged, my artistically challenged friends! There are so many options out there for you that DON’T require a ton of skill. 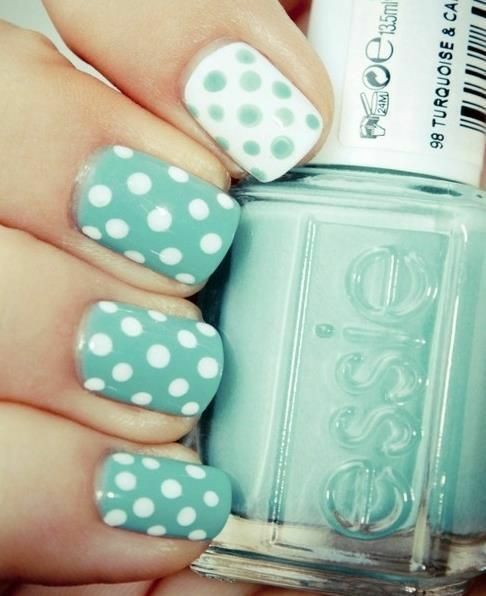 Polka dots are another great option if you want to add some pizzazz to your nails without getting out a paint brush. You can buy dotting pens here for $2.83. Also, check out 10 Pretty Polka Dot Manicures. 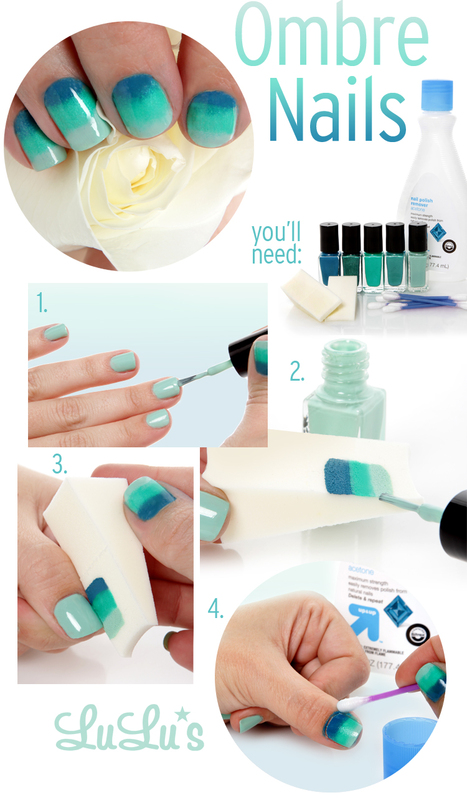 These ombre nails done with a makeup sponge are so easy and so pretty. You can do it with as many or as few colors as you want. Anyone can do this! I will admit, nail stamping is a little bit tricky. But can you imagine trying to paint a design like that with a paint brush? It would never happen for me, and nail stamping is MUCH easier than that. Plus, you can buy plates with practically any design you can imagine for them. You can buy a nail stamping kit here for $6.99. This little gadget will give you the easiest, quickest french manicure ever. You dip the appropriately sized tip in nail polish and then just run it across your finger tip. So smart! You can buy it here. 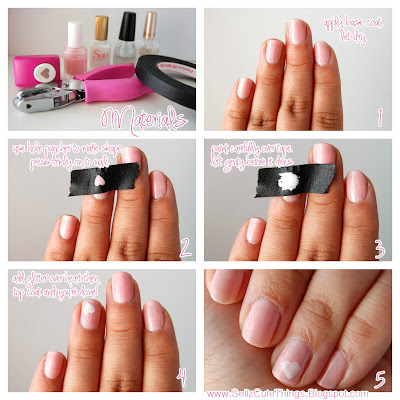 You could use this idea with any shape paper punch you want and create super cute, super simple nail stencils using tape. If all else fails, throw some glitter polish over the top of a complimentary color and you will have an easy-peasy glitter manicure. 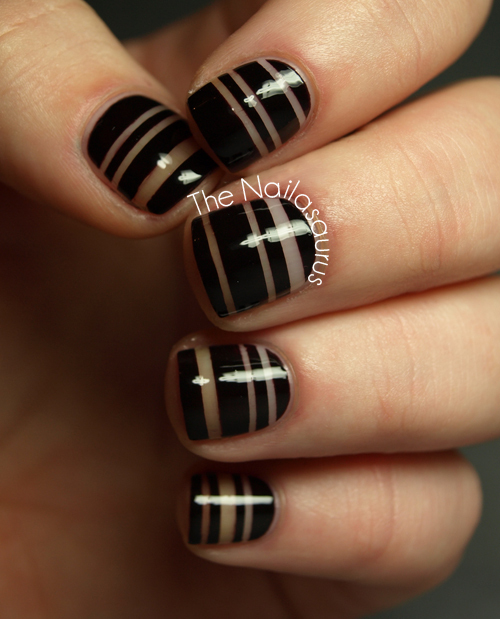 This entry was posted in Beauty, Nail Art on March 1, 2013 by Heather. If you would like to email me something at YouPutitOn@gmail.com I would be happy to look at it! Thanks!